So, what makes a good blog post? Let's look at a few key tips. Firstly, your killer title. We've spoken about that one in this article - but a killer title is nothing without killer content! What about that opening line or para? Does it have impact? A good method is to ask a question... and then reveal the answer as the blog post unfolds. Another way to grab your reader's attention from the first paragraph is to have a great one-liner or unexpected anecdote as your opening para. Jeremy Clarkson is very good at this! You can offer something exclusive, e.g.beginning your blog post with a claim such as "In this post I'm going to teach you how to save $50 a week on your grocery shopping." You do have to back up the claim with relevant information or follow up material if that is what you're promising, otherwise you'll lose readers or potentially become the target of bad press on social media channels (and remember that people spread bad news quicker than good). Statistics are also a good starter. Couple that with a question - "Did you know that 99% of ginger cats are male?" - and you have a great opener. Step back a bit - are you on target with the theme of your blog? Before we get into content, let's step back a bit and consider what your blog is about. Is your blog consistent in what it addresses? If you market your blog as a photography or camera review, don't start getting off topic and talk about, for example, traffic in your street. Good and popular blogs are consistent, they have a theme. Obviously if you have a business you're going to blog about what you know. If you're a project manager your topics will generally revolve around ways to improve project management. You may be an expert in your field and have plenty of knowledge to impart. If you have a retail site, introduce and review new products in your post - and of course include a link to the product in your online shop. 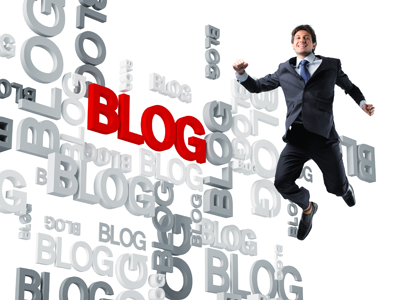 For legal blogs comments on new legislation and how it affects their clients is an obvious one. But what about personal blogs? What makes them successful? Again, it's sticking to one theme. Take, for example, Lovely Bicycle! (The exclamation point belongs to the blog name.) Blogger Velouria started out around three years ago as a blogger who hadn't ridden a bicycle since her high school years. She'd decided to get back into riding. Initially the blog was about her test riding and choosing a bike. She had few followers. With a compelling writing style, and each post concentrating on a particular subject, Velouria shared her learning experience with her readers and gained followers by the day. Her followers consisted of experienced cyclists and people like herself, who were learning about bicycles. As Velouria learned more about many aspects of cycling and the engineering behind bikes her followers have grown and now she has monetized her blog and it's not uncommon for her to get more than 70 comments on some of her blog posts. Now THAT''s successful! Why has this blog worked? Because Velouria has shared her learning journey, has asked for help and comments, has investigated why some things work for her and some don't and shared her thoughts concisely - and not without a sense of humour either. OK, so that's the theme sorted. Now what about those posts? Now, back to content. Let's quickly look at a few pointers to keep in mind: Keep your article between 350 and 1000 words. People don't want to read a novel but less than 350 words can be detrimental to your SEO. Try and have a link every 120-200 words, it helps SEO. Ascertain what your keywords are and make sure they are in the title and in the first sentence or at least para of the post. If you need assistance in determining your keywords consider using a service such as SEO Scribe, which does help you write a good post. Use your keywords wisely. Ideally you shouldn't use any keyword more than ten times per blog post, otherwise your post could be deemed as spam. Use H3 and H4 tags - sub-headings in other words. Search engines love them. We all know that regular posts help raise your SEO, but there is no excuse for writing an article that doesn't have a point or a reason for being just to put your weekly blog post out. So, your post must have a reason for existing. Don't write for the sake of writing. Give your reader a reason for reading your post. Having said that, your articles should each address individual topics, or points. If you have to, divide your posts up into two or three posts if you have two or three strong ideas or points in one post. Encourage your readers to get involved - to comment, to give their opinion, share their experiences. In other words, a call to action. Ask a question of your readers. Yes, I know I've covered that earlier where you could ask a question and give the answer, but you could ask a question and ask your readers to supply answers. If you are selling something, ask people to buy - don't be shy! But don't do the hard sell either. At the least ask people to simply click on a social media share button if they liked your post. We are all so used to clicking "Like" it's no hardship. Once you've written the first draft, do edit and proofread. 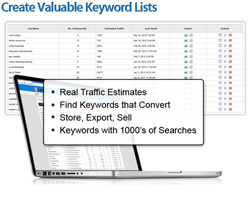 Check that you haven't overused your keywords. Check your grammar, check your spelling (remembering that spellchecker can sometimes turn your sentence into something unintelligible). If you are unsure, run it past a colleague or ask a proof reader like me to help out. Print your article out and read through it - are you putting your point across, clearly? Do you have a call to engagement from your readers? Does it all flow well? Overall, does it make a point? Does it have a reason to be published? Yeah, we know. Those 1000 words I mentioned earlier. So do use an image if you have one which depicts your topic. Feel free to use more than one, particularly if you're writing a personal blog as opposed to a business blog. Give your image an ALT tag so that readers with impaired vision can have its title read out to them. ALT tags help SEO too. You've hit publish. Now what? Ah, this is a topic for another post - getting your article out there on social media and other marketing tools. After all, this post is about writing a post, so I'll be sticking on topic with this one! As for this topic - has it helped you? Let me know and leave a comment below.